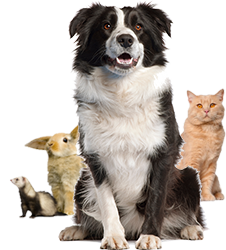 Create your own profile and connect with other pet owners. Shop, Search for a local Vet, get up to date recall & health tips for your pets and much more! Share Photos, Videos, and Ideas with other pet owners. Paw Campus was created by a group of pet owners who desired a community focused on pet safety and rescue while making it fun and easy to connect, share and learn with other like-minded pet owners. Paw Campus has established relationships with many well known companies to provide our members with the lastest products at discounted prices. Here at Paw Campus safety is our #1 priority.It is our mission to provide our members with access to all pet safety products. Paw Campus continually strives to bring our members with the best and safest products on the market. Thank you from Paw Campus! Our team at Paw Campus thank all our members for joining our community. This project continues to be an incredible journey for us and we hope you’ll continue to be a part of our story. For more information about how Paw Campus works please watch the video clip.